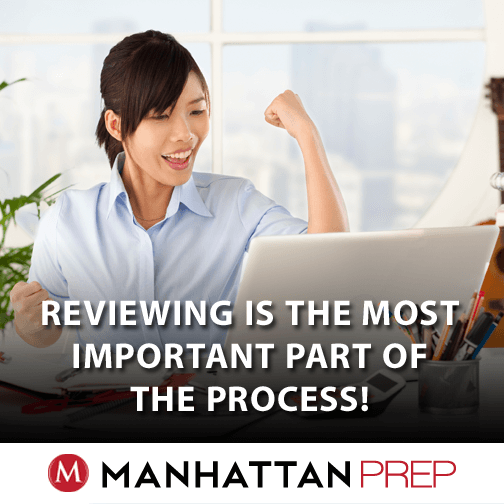 Manhattan Prep’s Black Friday GMAT Special! 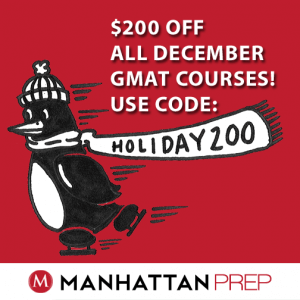 Today through December 15th, we’re offering $200 off all of our Complete GMAT, LSAT, and GRE courses*! This deal includes all Complete Courses– in-person as well as Live-Online. To receive this limited-time discount, register for a course that starts in December and enter the code Holiday200 at checkout. This is only the beginning of the holiday season, which means we have many more amazing things coming your way, including our BRAND NEW 6th Edition GMAT Strategy Guides. You can pre-order your copies now and be the first to experience the best! 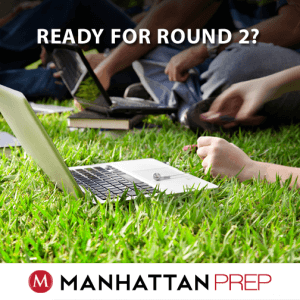 The round two deadlines for business schools are right around the corner, which means that we start hearing from students who are planning to apply during round two but are worried because they haven’t quite hit their target GMAT score. Sound like you? Use the chart below to check the deadlines for the top 25 business schools, and evaluate whether you have enough time to prep and retake the official exam. Looking for some guidance to maximize your study time? Our upcoming December GMAT Boot Camps are designed to prep you in just two weeks. Be prepared for intensive in-class work paired with hours of one-on-one coaching that will get you ready for the exam quickly, without sacrificing content knowledge. There are still a few spots open in our December Boot Camps (New York City and Live Online). Check out the full schedule and see all that’s included! This is the original version of a piece that has since been updated. See Stacey’s latest tips on maximizing the last two weeks before your GMAT. What’s the optimal way to spend your last 14 days before the real test? Several students have asked me this question recently, so that’s what we’re going to discuss today! There are two levels to this discussion: building a Game Plan and how to Review. We’ll discuss the former topic in the first half of this article and the latter in the second half.